The Labour Church was founded by John Trevor, a former Unitarian minister. 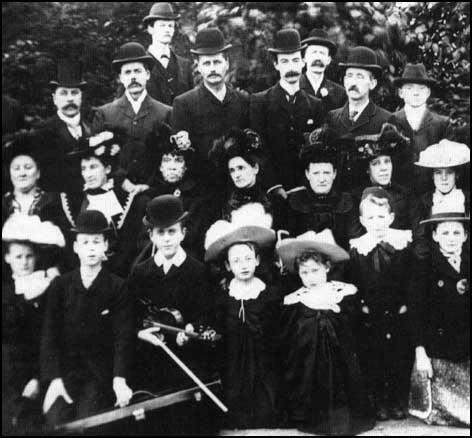 The first service took place in Manchester in October, 1891. Other Labour Churches were soon established in other industrial towns including Barnsley, Birmingham, Bradford, Bolton, Dundee, Halifax, Leeds, London, Nottingham, Oldham, Plymouth and Wolverhampton. These churches were sometimes formed in response to church ministers supporting Liberal and Conservative candidates in parliamentary elections. For example, the Bradford Labour Church was formed in 1892 after a Nonconformist minister supported the Liberal Party candidate against the socialist, Ben Tillett, in the 1892 General Election. By 1895 there were over fifty of these Labour Churches in Britain. 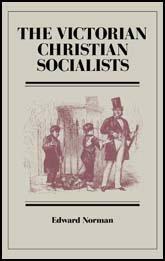 John Trevor and his followers were Christian Socialists who believed that the labour movement could be the driving force in obtaining "the Kingdom of God on earth". Many of Britain's leading socialists were active in the Labour Church and included Keir Hardie, Ben Tillett, Tom Mann, Fred Jowett, Philip Snowdon and Margaret McMillan. When a conference was held in Bradford to form the Independent Labour Party, John Trevor organised a church service to accompany the event. It was estimated that over 5,000 people attended the service in the Bradford Labour Church. Labour Churches usually attracted congregations of between 300 and 500 people. Dundee averaged 400 but had to close the doors when Keir Hardie spoke at one meeting. The Halifax Labour Church was one of the popular and regularly attracted 500 worshipers. The normal service was (1) Hymn, (2) Reading, (3) Prayer (4) Choir, (5) Notices and Collection, (6) Hymn, (7) Address, (8) Hymn and (9) Benediction. The hymns used were taken from the Labour Church Hymn Book, and although it included some approved traditional hymns, mainly comprised socialist songs and poems written by Edward Carpenter, Charles Kingsley and William Morris. Church readings tended to taken from the work of socialist writers rather than from the Bible. Most of the Labour Churches were involved in charity work. The London Labour Church, under the leadership of Paul Campbell, the editor of the Christian Socialist magazine, and Margaret McMillan, established a school, whereas D. B. Foster in Leeds, led a campaign to improve the condition of the slums in the city. John Trevor in Manchester ran a Shelter for the Homeless and provided a Cinderella Club for underprivileged children in Deansgate. John Trevor began publishing a monthly magazine, The Labour Prophet in January, 1892. The motto on the cover was "God is our King" but later it changed to "Let labour be the basis of civil society'. This resulted in complaints as the word God was not included and eventually Trevor reverted to the original motto. The Labour Prophet continued until 1898 when it was replaced by the smaller, quarterly, Labour Church Record. John Trevor left the Labour Church in 1900. Without his leadership the church went into decline. There was a brief revival after the 1906 General Election but by the outbreak of the First World War, the Labour Church had ceased to exist.